Adjustable Height Colored School Folding Table 60x24"
This series of educational color top folding tables includes rectangular folding tables specifically designed for the unique needs of schools. 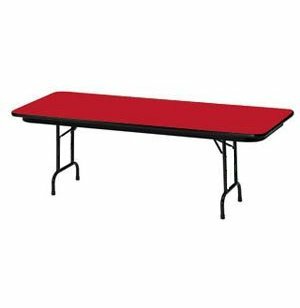 They are affordable yet built to withstand the heavy use that table get in schools. 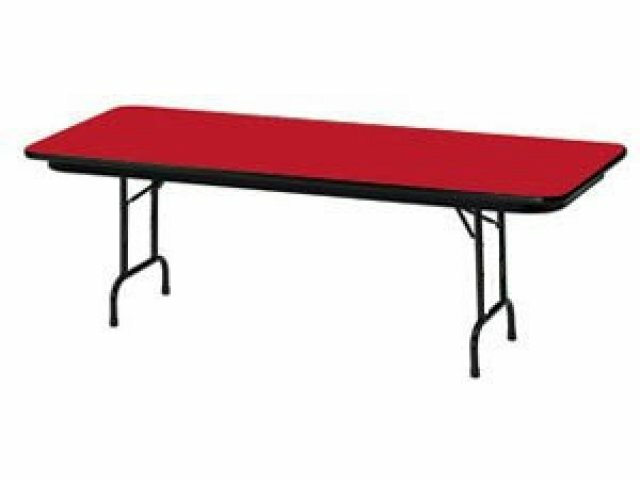 Easy to move when you fold them and completely stable when unfolded and set-up, these folding tables come in handy when you want to quickly reconfigure a classroom or have a special event coming up. These tales are flexible since you can easily adjust the height depending on your needs. Surfaces are topped by a high-pressure, scratch-resistant laminate surface. It conveniently wipes clean with just a damp cloth. Black edging all around the table surface protects it against chips and cracks that can be caused when moving tables. Solid: 3/4"-thick core with high-pressure mar-resistant laminate surface. Easy to Clean: Wipes clean with damp cloth. Chip Resistant: Black bullnose T-edging guards against chips.